Researchers in the U.S. and U.K. have identified a new subtype of prostate cancer that is characterized by loss of both copies of the CDK12 gene, and which an early clinical study showed can respond to immune checkpoint inhibitor drugs that commonly aren’t effective against prostate cancer. The new tumor subtype occurs in about 7% of patients with metastatic castration-resistant prostate cancer (mCRPC), although only about 1% of patients with earlier-stage disease. In the team’s reported pilot clinical study, two out of four late-stage patients with CDK12-mutant prostate cancer responded to the immunotherapy drug pembrolizumab and were still alive when the report was written. The study follows on from a clinical trial led by the Institute for Cancer Research, and the Royal Marsden NHS Foundation Trust in the U.K., which found that pembrolizumab could be of benefit to some patients with advanced prostate cancer who had no further treatment options. Prior studies have identified common genetic drivers of prostate cancer, as well as distinct molecular subtypes in both primary and metastatic disease, the researchers write. CDK12 is a cyclin-dependent kinase that is involved in regulating key cellular processes and has also been implicated in controlling genomic stability through regulating genes involved in the DNA damage response. The University of Michigan team had previously reported that 4.7% of mCRPC patients carried changes to both copies of the CDK12 gene. For their studies described in Cell, the team working with collaborators in the U.S. and with scientists in the U.K. at The Institute of Cancer Research and the Royal Marsden NHS Foundation Trust London, analyzed DNA and RNA sequencing data from 360 mCRPC samples, obtained from the Mi-ONCOSEQ study, and from the Stand Up to Cancer-Prostate Cancer Foundation Dream Team. The CDK12 mutants in addition exhibited a distinct transcriptional phenotype and a shift from oxidative to glycolytic metabolism, which is a hallmark of many types of cancer, but is generally not characteristic of most prostate cancers, they add. The CDK12 mutant tumors also displayed characteristic copy number and mutational signatures, which characterized the tumors as distinct from the HRD or MMRD type of prostate cancer. “In particular, CDK12-mutants are different from tumors with HRD, which was previously presumed to be the pathway through which CDK12 regulated genomic instability,” they point out. Significantly, CDK12-mutated tumors also harbored higher numbers of surface neoantigens, which act to recruit immune-fighting T cells, a finding that may explain why this subtype of cancer is more susceptible to immune checkpoint blockade, and so why some patients do benefit from immune checkpoint blockade, the team suggests. Identifying specific mutation-associated neoantigens could thus feasibly lead to the development of personalized tumor vaccines. 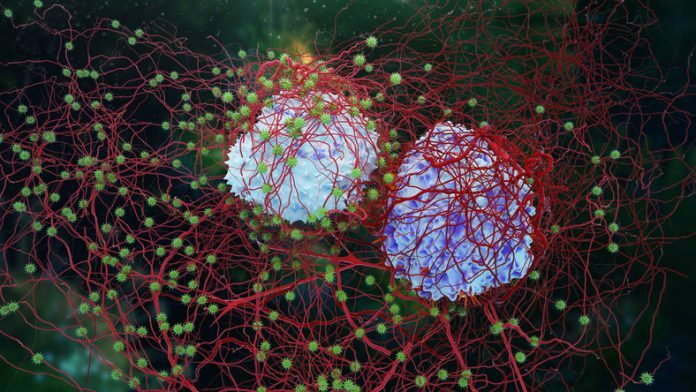 Researchers at the University of Michigan Rogel Cancer Center are to lead a multisite clinical trial to assess checkpoint inhibitor therapy in patients with metastatic prostate cancers that exhibit loss of CDK12.